1st Lt Olson and SM Freed review their checklist before takeoff. 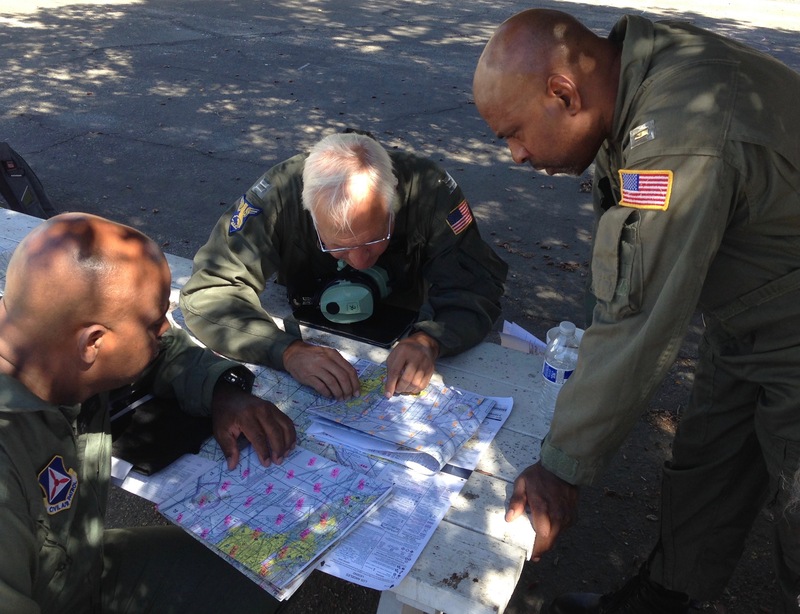 Twenty-nine members of Los Angeles Group One gathered from throughout the county to refine their emergency services expertise during a Search-and Rescue Exercise (SAREX) held Saturday, September 24 at Whiteman Airport in the San Fernando Valley. Saturday’s SAREX centered around a missing seaplane that was last reported in the Malibu area while practicing water landings. 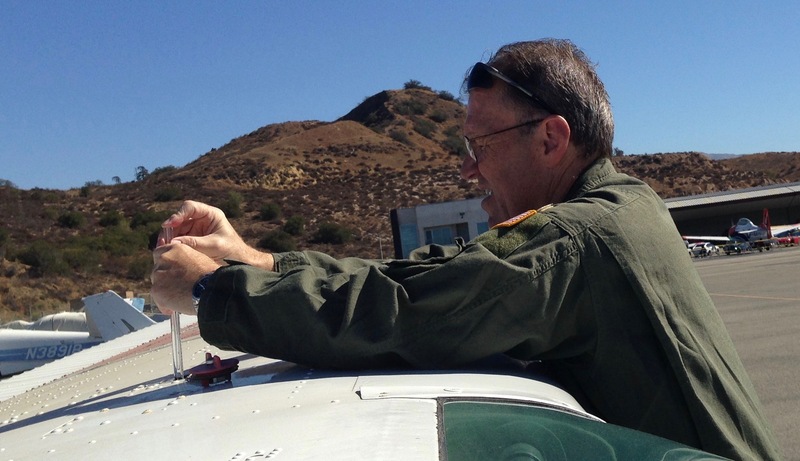 CAP planes were dispatched to search grids in coastal areas, as well as the missing plane’s point of origin, Agua Dulce. Capt Charles Christian, the Incident Commander for the SAREX, commented on how the training exercise was set up: “We put together a classroom training last month – the intent was to teach people the fundamentals of visual search; that was the bookwork. This is now where we get to put theory into practice.” Nine sorties were flown, and in each case, the crews were able to locate and identify the target. 2d Lt Harding inspects the aircraft’s fuel during the pre-flight check. Los Angeles Group One spans from the Angeles National Forest in the north down to the limits of Los Angeles County in the south, as far west as Thousand Oaks to Mt. Saint Antonio and Chino in the east. An area this large, inclusive of densely populated urban areas as well as sparsely populated rural areas; covering city, forest, and mountainous terrain, requires highly skilled individuals to manage emergency situations, and demands constant training to ensure maximum efficiency and safety for both its members and the public at large. “We need to be able to practice our craft so that we are proficient, precise, and mindful. The things we are asked to do are inherently dangerous. We’re asked to search in the mountains looking for someone who potentially crashed the day before; perhaps went up in poor weather and maybe we have to go up the next day, and the weather still isn’t much better. 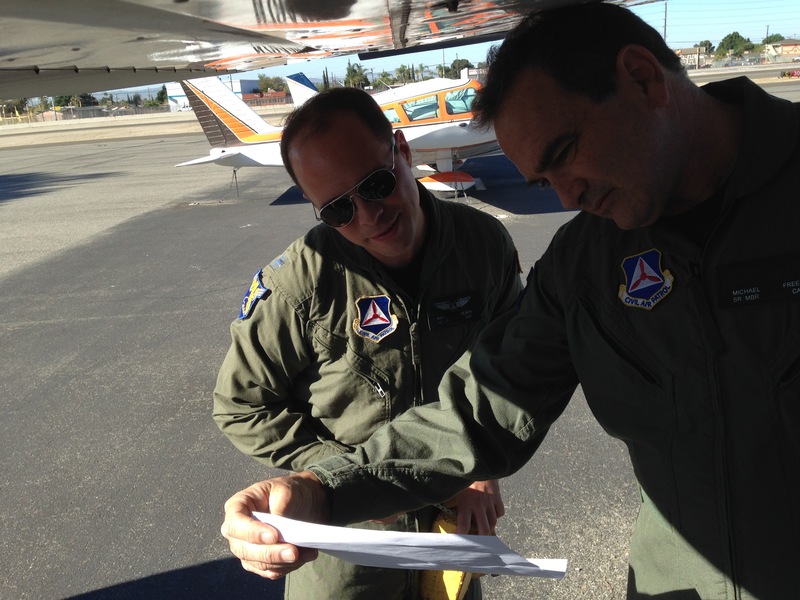 It’s important for the safety of the members to practice, to retain that familiar process” remarked Capt Christian.